Elaine Ramos has served as Associate Director of the Independent Music Conference. As an instructor and organizational superstar, Elaine is one of the biggest reasons why the IMC has been able to survive. Her hard work, refusal to quit, and dedication to the conference helped it flourish in its early stages and grow to the recognized powerhouse it is today. At the IMC she taught hearing protection for musicians, acknowledging the quiet fear many musicians harbor about hearing loss. You have been involved with the IMC since its inception. What changes have you noticed over the years and how has the conference had to adapt to the ever-changing climate of the music business? This question would be a difficult one for me to answer, as I’m not involved in the music industry, other than having helped with the IMC. My background as an audiologist and speech-language pathologist has allowed me to present at the conference on topics related to music-induced hearing loss and its prevention, as well as serve on a panel as a speech pathologist discussing vocal disorders related to singing. How can a participant get the most out of the conference? Are there certain things that you feel are critical to the experience? By attending as many of the workshops and panels as possible, and taking full advantage of the networking opportunities with the incredible variety of music-related industry people who are there to offer one-on-one mentoring to the attendees. Continuing those relationships well after the conference has definitely set the IMC apart from other events. The panels and professional participants have always come from a broad range of fields. How has this separated the IMC from other conferences? The instructors that have continually supported the IMC understand the meaning of education. Education is the primary focus of the conference. At the IMC, in addition to days filled with workshops and panels, performance opportunities for the artists become educational opportunities. Professionals as well as peers offering constructive criticism to the artists has become an integral part of the conference. The IMC truly provides a comprehensive educational opportunity for the indie musician. If there was one comment that you have heard time and time again from participants, what would that be? For me personally, looking from the outside in, I have never met so many impassioned and talented individuals in my life. Each relationship that has developed has been true and has given me a new respect for those who pursue music as a career. 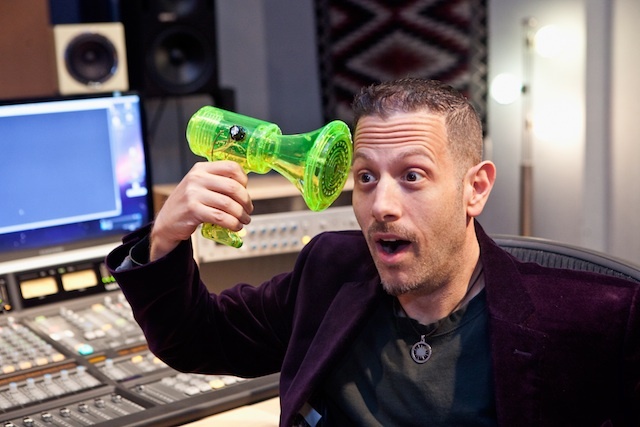 Jordan Tishler has twenty years of experience in the music industry a producer, artist manager, mixer, and songwriter. 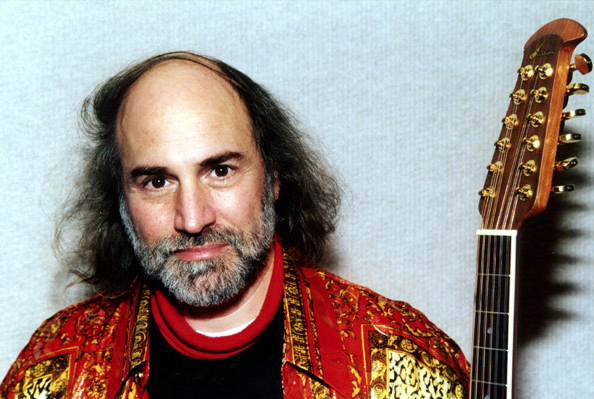 He serves as Chairman Emeritus of the New England Section of the Audio Engineering Society (AES), founder of the Music-Producer’s List, and is active in the Recording Academy. Here he gives us the honest straight-talk on how artists can enable their success, and where to put your money so it so it counts most. 1) What’s the idea behind your company, Digital Bear? Sounds dangerous. Digital Bear Entertainment provides artists with recording, mixing and production; artist management; and licensing of their music to TV and Film. DBE has always been a vehicle for my efforts to help artists achieve real careers in music. It’s been a natural and organic growth from my own roots as a musician and songwriter, to mix engineer and producer, to artist manager and music licensor. After years of working with major labels/publishers, I saw that the writing was on the wall, and that independent artists were going to be a stronger force. Each step along the way was developed to meet the needs of the artists I work with. At this point we’re a well diversified and well-rounded company because that’s what it takes to help artists do all that they need to do to be successful. 2) It’s hard to achieve a balance between music and business. What parts of the “business” of music do you think artists benefit from hiring others to help with, and what parts should artists be doing themselves? Well, at its simplest, artists need to do it all. Of course, that’s crazy! There’s way too much to do, and more importantly there are good ways (and less good ways) to do things, which is something you’re not born knowing. Still, all too often artists just want to hand off the “business” to someone else. That may be understandable, but it’s not wise. I always keep my artists in the loop with business issues. These are decisions that affect them and their careers directly. I’d be offended if they weren’t interested – how seriously can they be taking their career? Why should I then be taking it seriously? I see my management work with artists as coaching. With my advice and guidance, an artist can make good choices, be efficient with their efforts and their money, employ successful strategies for getting noticed and making money. None of this is rocket science, but you’d be surprised at how hard it is. I make it easier and smarter for my artists. vel of ticket sales and regional visibility and are ready to approach a label, knowing who can help is a key role for management. 3) Many independent musicians don’t have much money to invest in their art. What’s the best thing a musician or band can do with their initial monetary investment? Money is the big stumbling block for nearly every artist. Don’t feel bad if you have financial issues, so does everyone! However, you have to understand that it will take some money up front to make a meaningful start. Lots of artists have unrealistic views of how things should work. For example, “I make great art, so people will want to work for me for free.” This is a nice fantasy. The realistic artist will recognize that connected, experienced industry people, who want to work for them, still need to feed their kids and keep the lights on. it ends there, but it’s a good start. Hold on to your money so you have something with which to hire the right manager, producer, PR agent, at the time when it’s going to really help you get to the next level. 4) You license music for TV and Film. What, more precisely, does this entail? Are there steps artists can take to try to get their music accompanying the big screen? Songsforsync.com is the sister company to Digital Bear Entertainment. Through Songsforsync.com, we work very closely and aggressively with the key music supervisors and producers around the globe to maintain relationship so that they come to us for great, independent music. Our reputation with these important and busy people is our lifeblood. Our catalogue of songs is hand picked to meet their needs in terms of themes, genres, and quality. In the early 2000s, when licensing became widely known to indie artists, there was a sense that you could get your music placed by yourself. Of course, as with any maturing sector, those days are gone. Occasionally, we hear, as you will, about your cousin’s brother’s wife’s band that got a track in a film because they were played on satellite radio or something, but that’s lightning striking. That’s no way to operate a business. Now it’s really a full time job or two to make and maintain those relationships necessary to get the placements. For the indie artist, this means finding a company that can get your music in the door. There are various companies like Songsforsync.com out there. The business models are different, as are the requirements of the writers, so look around, read the contracts, and ask questions. I’ll be at IMC 2010 to answer questions! 5) You juggle a lot of varying roles, working different aspects of the music industry. Are there benefits or drawbacks to branching out? As I mentioned above, I wear many different hats in this industry but they all came about organically. It’s been driven by what’s needed to help artists achieve their career goals. I have found that without tapping into these areas, artists flounder and stagnate. Sure it’s demanding for me to be well versed in all these skills, but they flow from each other, so it’s really a synergy. 6) What are a few things you wish more musicians did more often, or did right? Hopefully all those reading this can pick up the tip? Focus on the business. Understand that it is a business and if you treat people with respect for their time and expertise they will really help you. Don’t to things just because you can (eg: record an album). Do things at the time and in the order that they are necessary to improve your business (ie make money). Don’t be afraid to spend money on your career, but do it wisely and realistically. No successful company was founded without both investment and a sound business plan! 7) What does that IMC mean to you? What made you decide to share your experiences there? I’ve been involved with IMC, well, since before there was an IMC. I believe that of all the conferences out there (and I participate in many each year), IMC is one of the finest. The mission is to truly educate independent musicians on how to do it better, smarter, and more successfully. The people Noel imports for acts to meet are truly knowledgeable and dedicated. It’s a great opportunity for artists, and the benefit it offers artists is why I keep coming back. Check out Jordan at his company, Digital Bear Entertainment, for his blog, more tips, or the excellent services they offer. As Jordan mentioned above, have a look around at Songsforsync.com if you have music you want considered for films. Our thanks again to Jordan Tishler for priceless advice from someone who’s worked with so many musicians. You can ask any follow-up inquiries at the IMC in November! 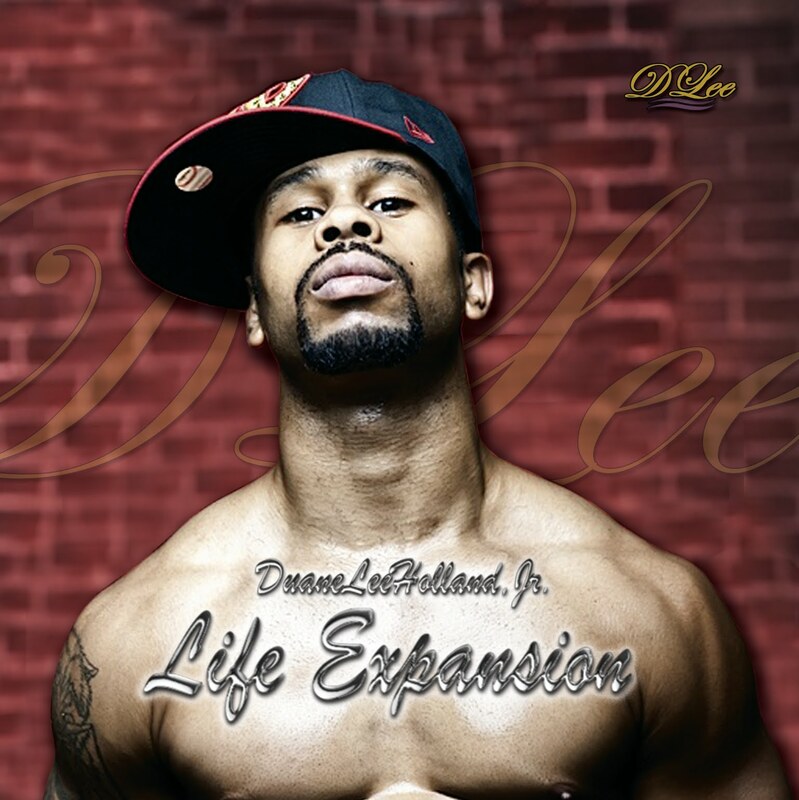 Duane Lee has over 15 years of experience as a Hip-Hop performer, choreographer, and instructor, as well as a gymnast and musician. At the age of 17, he began dancing for Rennie Harris Puremovement (RHPM), the first Hip-Hop theater dance company, which he now serves as Assistant Artistic Director of. He has taught and lectured at universities around the country, assisted with choreography and danced on Broadway productions, and has been involved in community outreach in Philadelphia, where he currently teaches. Having such an accomplished Hip-Hop dance artist come to the IMC is an incredible opportunity – you can read his full bio here. 1. Please tell us a little about your background and what inspired you to get involved with the IMC? I was a gymnast for fourteen years. A member of the Junior National Team for five years (’90-’95) and trained for the 1996 Olympics. Unfortunately, I was injured in 1996 in a competition and was unable to continue training. It was at this time that I committed myself to my professional dance career. In October of 1994, I became a member of Rennie Harris Puremovement. We became the first Hip-Hop theater company in history. In 1996, I decided to move forward with the crew/company and my career in entertainment began. I became interested in the IMC by luckily making an inadvertent phone call. The call was answered by Noel Ramos, Director of The IMC, and here we are now. 2. Music and dance have always been intertwined, but it does seem like the genres of music that incorporate dance into their live performances has expanded recently. Why do you believe this has happened? From artist using a lot more dance in their performances, to the new dance shows (“So You Think You Can Dance”, “America’s Best Dance Crew” etc.) has a lot to do with this new appreciation for dance. I also feel that these shows need to move more into the business of edutainment (A term created by KRS1 of Boogie Down Productions) rather than just entertainment by reinforcing the history, theory and technique of the craft, as well as the performance aspect. 3. You are a dancer, a musician and an educator. How do you balance these creative talents without feeling overwhelmed? A dancer, musician and educator is who I have always been. I don’t feel fulfilled unless I am executing all three. 4. Musicians tend to separate the use of the body and the mind when thinking about what they do. How do you best explain to musicians the importance of the process as a whole? (for example, how breathing, movement, etc. contributes to stamina and to the creative process). I feel that all aspects of the Arts (Performing &Visual) are relevant. It’s left to the artist and where they are in their development to take on this perspective or not. 5. Since you have been involved and successful in various parts of the entertainment industry, is there one common thread that has helped contribute to your success in each area? Those common threads that I’ve found have benefited me are: Faith, Humility and Discipline. 6. What can participants expect to take away from a workshop with you? Participants of the workshop will take away a sense of confidence in being a dancer, as well as gaining a new respect for dance from a cultural, historical and physical perspective. I am really looking forward to attending and participating in The IMC 2010! Thanks again to Duane Lee; see you at the IMC! Kay Pere is a multidimensional performing songwriter, educator, artist, writer, and activist whose work embodies a message of hope, healing, humor, and humanity. When she isn’t traveling to perform, present workshops, or show her artwork, Kay lives a quiet little life in a Mystical corner of New England. I’d laundry-list her accomplishments, but I love the bio she sent us so much, I’m just going to keep it at that! People like this are why we attend the IMC, as I’m sure you’ll be able to see in her answers. 1) You and your husband, Bill Pere, are both very inspirational figures in all you’ve done for youth in the US and to combat hunger and poverty. What do you believe makes music a good tool for fighting the world’s afflictions and shaping tomorrow’s leaders? Everyday, all of us are bombarded with news about what’s wrong with the world. Wars, disasters, corporate greed, and enormous social need; these things are both overwhelming and seemingly remote from the pressures of our daily lives. Most of the time we feel powerless to do anything about them. Eventually, most people learn to tune all this out in a process called compassion fatigue. long forgotten by the listener. Carefully crafted songs for social change reignite youthful idealism and spark a listener’s childlike sense of injustice and empowerment to take action. If we think back, most of us can remember a time, before the complexities of adult life, when we knew with great vividness that war and hunger, homelessness and greed were wrong, a time when our whole lives lay ahead of us and we knew we might do something to fix what is broken in our world. This remembrance is the open door where a performer can offer listeners credible paths for action by giving them additional information and examples. Through the shared experience of listening, even singing along, we are comforted to find that we’re not alone in our desire to make this world a better place. 2) How did you first get involved with the IMC, and what made you stay strong supporters? Success in the arts has always depended on relationships, now more so than ever. 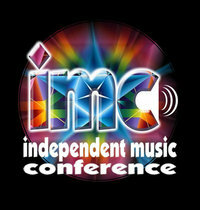 At the first IMC, in 2003, I enjoyed the outstanding opportunity to meet and share knowledge with a wide range of professionals in the emerging indie music world. I’m happy to say that the personal and professional friendships I made at that and subsequent conferences have grown stronger throughout the years. I continue to present workshops and provide individual consultations at IMC because it still holds as its central mission opportunities for networking and knowledge building open to each person who attends. The connections forged by participating in daytime workshops, panel discussions, and exhibit hall networking are the most valuable part of the experience for anyone hoping to build a lasting career in music. All anyone has to do is show up and engage in conversation with the presenters and other musicians waiting there, looking forward to talking with them. Nothing could be easier. Over the years, I’ve also enjoyed chatting with repeat attendees, hearing about the progress they’re making in the direction of their dreams. 3) Why do you consider songwriting, critique, and vocal workshops to be so important? Expert critique, songwriting and vocal workshops tailored to the styles and goals of those attending offer a chance for songwriters and performers to learn new ways connect with their audiences. Those who shy away from honing their skills through critique and instruction are missing the chance to move from being good to being truly excellent, and building a more loyal fan base in the process. If you’re in the position to perform your songs for people who’ve taken the time to come hear you, you may believe you’re well on your way to lasting success. However, performing for an audience is like hosting a party for a house full of enthusiastic guests then drawing the conclusion that you’ve made 100 new best friends who’ll invite you into their homes the next time they want someone to hang out with. In essence, that’s what you’re hoping your listeners will do. You want your songs and performances to be unique enough, memorable enough, and valuable enough to them that they’re willing to go out of their way to welcome you into their lives. Sometime in the future, when you’re not around to hand them a drink and an hors d’oeuvre you want them to still be attached enough to the time they shared with you that they’ll seek out and purchase your songs and tickets to your shows. You may even hope your songs and the way you sing them will motivate them to broader action, to change their own lives and the world around them for the better. Critique, songwriting and vocal workshops that are sensitive to individual artists’ needs and objectives will help them to achieve these things. This is what Bill and I endeavor to do through the workshops, mentoring and critique services we offer. 4) You’re both incredible musicians in your own right. What led you to the path you’re on today? In my childhood home, I was constantly surrounded by a wide diversity of music, both recorded and live, from grand opera to Dixieland jazz. On weekends, my teenage brothers and their longhaired friends would gather in our living room with guitars and banjos, bongo drums and autoharps to sing folksongs of protest, history, and social justice. These same songs still reach across the decades to draw people together and motivate them to action for change. Even as a small child, I knew I wanted to be a part of this. I began composing my own songs as soon as I could reach the keyboard on our family’s piano. Music lessons soon followed. For 20 years I received classical training in voice and piano–continuing through college–but I always returned to my first love, writing the songs I hoped would touch people’s hearts. I’m grateful for this education, though at the time I longed for instructors who were as comfortable with rock as they were with Rachmaninoff. I wanted skilled mentors who could help me grow as a performing songwriter, teachers who didn’t view songwriting as the illegitimate offspring of a lesser discipline. I was determined to improve my skills, so I sought out other resources. Now that I’m in the position to teach, I work hard to be the kind of mentor for others that wished I’d had myself. One of the resources I discovered along the way was the Connecticut Songwriters Association. Bill was one of the first people I met at the very first CSA meeting I attended. When he told me about his work with LUNCH, I knew I’d finally come home. We’ve worked side-by-side ever since, our lives and efforts in harmonic counterpoint. 5) Helping others is more than a reward in itself! Still, how can artists benefit from bringing social activism into their music? Cartoonist Hugh MacLeod offers the following advice in his book, “Ignore Everybody and 39 Other Keys to Creativity”: “If your business plan depends on being ‘discovered’ by some big shot, your plan will probably fail.” Music is a fashion business where more than 150,000 independently produced CDs are released every year. At this very moment, hundreds of thousands of aspiring performing artists are struggling to grasp the same opportunities you are working to reach. These statistics can either be a discouragement or a motivation. Fame depends entirely upon attracting and holding the attention of others. On the other hand, the good we do depends primarily on our own actions, while offering a more lasting source of happiness. Fame is fleeting, artists come and go, musical styles and reputations rise and fall, only occasionally to rise again. In the midst of all this, each of us has the potential to build not only a reputation, of whatever duration, but a lasting legacy. Ironically, if your life is about more than making a name for yourself, the things you accomplish stand a better chance of outliving you. Here in the present, supporting a cause you believe in offers a deeper way for your audience to relate to you. If this work is an integral part of your life, not just words spoken in public or an occasional benefit concert performed, then you’ll become more than just one among hundreds of thousands of aspiring indie musicians. You will be an artist with something credible to say, someone worth listening to. And you’ll have the assurance that no matter how many or how few are listening, or remember your name after you’re gone, your life and work will have had a lasting impact. 6) What is one suggestion you have for artists looking for innovative ways to integrate music and action? Use your website, blog, and online social networking sites like Twitter and Facebook to offer content that goes beyond gig announcements, listening links, press photos, and recording updates. Create frequently updated content that relates your music to your other interests and the causes you support, then you’ll be more likely to attract and hold the attention of potential fans outside your immediate circle of contacts. By providing substantive content and setting up your web pages correctly, people who searching on key words and phrases related to those topics will find their way to you and the information you’veprovided. Later they’ll remember you both as a valuable resource and an artist whose character goes deeper than self-promotion. If they can also listen to your well-written songs, especially topical songs, right there on your website, these will make the fan connection for you without you having to be physically present. 7) Why do you think it’s important for Indie artists to attend events like IMC? IMC has always been about much more than the opportunity to showcase your talents. Conferences like IMC are most valuable as business networking and knowledge building events. Indie artists who come to IMC’s daytime events can attend a full schedule of workshops and talk one-on-one with a wide variety of experienced music business professionals. This is an excellent value for you. The mentoring and workshops offered with your IMC registration would cost 100s, if not 1,000s of dollars if scheduled individually with each expert outside of the conference, not to mention the time you’d spend traveling to their far-flung offices and studios across the country. For artists just starting out, we can help you to focus your efforts and find direction as you build a plan for your future. We can listen to your songs and tell you where they might have the potential to take you. If you’re farther along toward reaching your goals, we can save you money and possible regret by providing feedback on your promotional materials, songs and recordings BEFORE you invest in expensive duplication. No one wants to pay 1,000s of dollars for 1,000s of copies of something only to find out after the fact that it really should have been done differently to accomplish what was intended. If your goal is to reach the broadest possible audience with the songs and recordings you choose to create, then it’s wise to seek expert advice along the way. We’re able to tell you things your friends, family, band mates, producer and manager either can’t or won’t. Each of us can also serve as a link for you to a broader community of music business professionals and will offer referrals when appropriate. As the CEO of you, attending IMC’s daytime events is an extremely cost effective way to insure that you’re making informed decisions about the time and money you invest to advance your career. 8) What will you be presenting at the IMC that musicians need to hear? I offer workshops and individual coaching sessions for performers, songwriters, and recording artists of all genres to help them develop their voices to full potential. I bring to these sessions nearly two decades of experience working with a variety of successful artists from rock to R&B to Broadway and beyond, plus a special awareness of the performing songwriters particular needs and process. I also provide creativity workshops and mentoring based on “My Creative Compass Model for Sustainable Creativity”©. In the arts, creativity and uniqueness are our most valuable assets. I can help you learn to nurture and sustain these amidst the pressures of the music business and demands of a busy personal life. As a visual artist, I am glad sit with you to review your website and printed materials. We’ll work together to focus the impact of your message and clarify your public image. And as an experienced performing songwriter who is serious about the craft, I’m available to listen to your songs and provide feedback that will help you to make them the best they can be. Please, visit me at www.kaypere.com, then I’ll see you at IMC! 1) You and your wife, Kay Pere, are both very inspirational figures in all you’ve done for youth in the US and to combat hunger and poverty. What do you believe makes music a good tool for fighting the world’s afflictions and shaping tomorrow’s leaders? Bill: Music and songs have an amazing power to reach people and move them to act. Reaching people’s emotions is all well and good, but that alone will not make a difference in our society unless there is some kind of action. Well written songs about important issues can serve as a call to action. Bill: I originally heard of IMC when the first one was being planned back in 2003. The Music business was in the throes of a major shift from the old school label-dominated model to the new Indie model, and it seemed like this Conference was the right thing at the right time for educating artists about the new paradigms. As the President of the Connecticut Songwriters Association (www.ctsongs.com), I’ve been committed to artist development and education for more than 30 years, so I decided to see if it would live up to its promise. The first IMC in Philadelphia was a well run, well attended event and was certainly in keeping with my goals of educating artists about the craft and business of music. As long as the goals of the event remain focused on education, I and my songwriters organization will continue to support it. Bill: I do workshops and panels at conferences around the country, and I see so many artists for whom the idea of using their music for something other than their own career is a foreign idea. I teach workshops on how to do successful benefit shows, and this has been a well received presentation. It is important for artists to realize two things: (a) whenever they have an audience, they have an opportunity effect changes in they way people think and act, and (b) non-profit does not mean no-profit. It is certainly possible to produce effective benefit events and still be fairly paid for service rendered. An artist can garner far more support from the public and the community when they make an event stand for something larger than themselves. The type of work we do has provided many exceptional opportunities for us, including the chance to perform several times with the members of Harry Chapin’s original band. Bill: View every time on a stage as an opportunity to reach people’s social conscience, giving them substance to think about and a reason to act. Make every event about something more than just you and your music, and you’ll find that rewards will follow. Bill: The current music scene is extremely competitive. It is no longer enough to be ‘good’. You have to be exceptional. One way to elevate yourself above the crowd of ‘good’ artists is to be truly knowledgeable about: (a) the craft of songwriting; (b) the music business; and (c) how to present yourself as a professional. IMC is one of the few conferences that places emphasis on education rather than just performing. It is truly a conference, rather than just a “festival”. 8) What will you be sharing at the IMC that musicians need to hear? Bill: I am glad to discuss any topic in detail with any artist who shows a willingness to want to learn. My workshops cover all of the topics I’ve mentioned above, and I’m available any time at the conference to give constructive critiques of songs, career guidance, business advice, etc. I just returned from a conference in the Nashville area, where I participated on panels with very accomplished music industry pros. They all said the same thing as I indicated above – “Good is not good enough – you have to be exceptional, and you have to know what that means and do what it takes to get there.” At IMC, I will be glad to help any serious artists move forward along the path to that goal. I invite conference attendees to visit my website at www.billpere.com to see what questions they might want to ask me. Thanks to Bill! He’s done so many wonderful things, only a fraction could fit into his bio. Don’t forget to visit his site – and his talk at the IMC! Enter your email address to receive notifications of new tidbits by email.